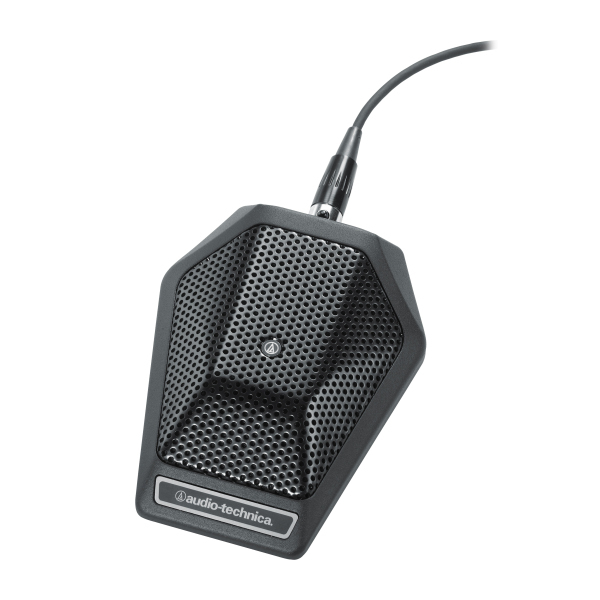 The U851R cardioid condenser boundary microphone features breakthrough audio and mechanical design innovations. The U851R offers excellent speech intelligibility and transparent sound quality for surface mount applications and is equipped with a PivotPoint rotating output connector, uniSteep filter and UniGuard RFI-shielding technology. It accepts interchangeable condenser elements - available for boundary microphones in cardioid, hypercardioid and omnidirectional polar patterns. 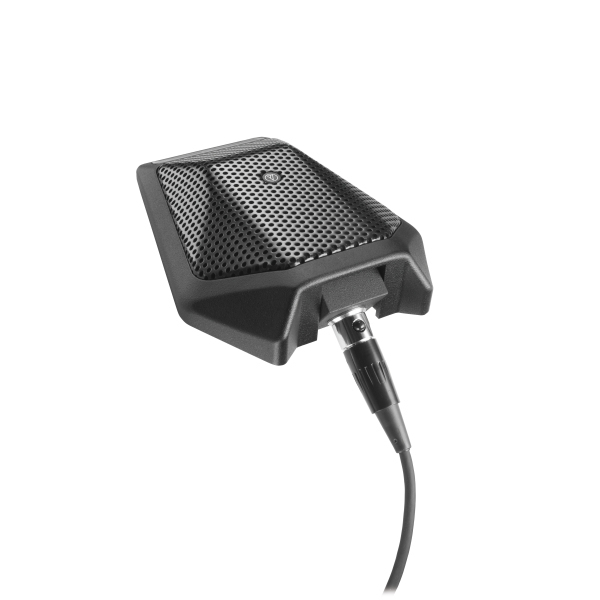 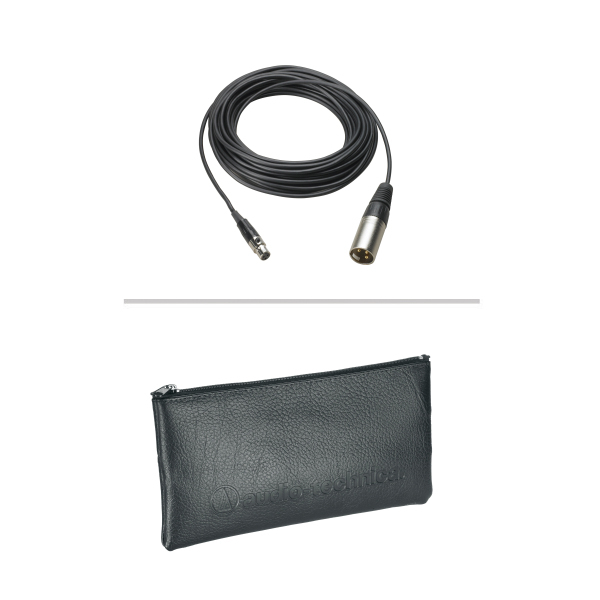 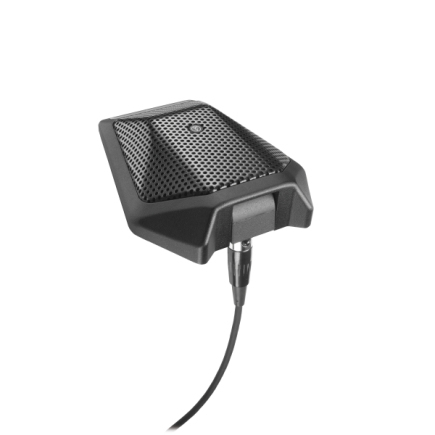 A heavy die-cast case and silicon foam bottom pads minimise coupling of surface vibration to the microphone. 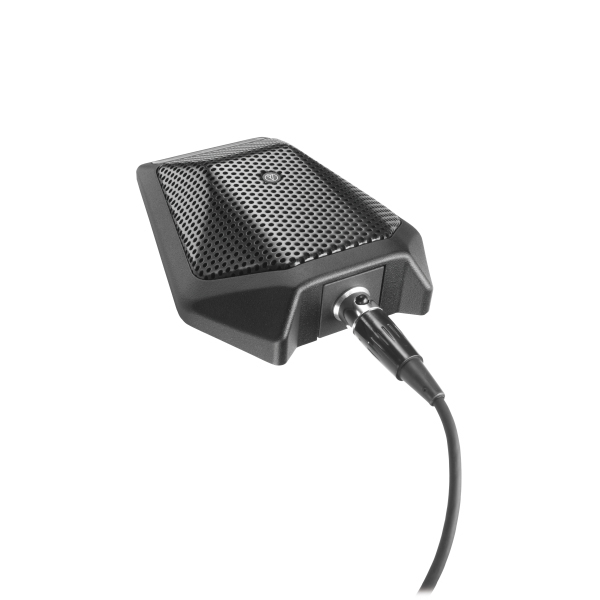 The U851R is also equipped with self-contained electronics, eliminating the need for an external power module.